I have a huge love for Firefighters in books and in real life. They are going into the fire when everyone else is leaving it. It might also have to do with my great love for Backdraft. To this day, it is still my favorite movie involving firefighters. I still remember like yesterday Kurt Russell saying "You go, we go". Great movie line! Ok, getting back to Consumed, the main character is Anne Ashburn. She's a firefighter of the 499 Fire Department Station. She's a hard worker, determined woman. She also can be tremendously stubborn and self-destructive at times. She has fallen for Danny McGuire, another firefighter who has a thing for the ladies. Once after his best friend's wedding, they let their desire for each other consumed them (see what I did there?) but after that night together they avoided talking about it. Next thing you know, the fire alarm is triggered and off they go to stop a new fire. The events following this call leaves them both with permanent visible and nonvisible scars. Anne asked for something that was quite courageous but left Danny feeling guilty. Over the last ten months, he has been consumed by it. He's in a path to self-destruction and looking for an early grave if you ask me. Anne's dream of a career as a firefighter is gone after the fire but ten months later, she's ready for a new beginning as an arson investigator and the new owner of a rescue dog. She has avoided Danny and anyone from the same fire department station as an act of self-preservation but when her investigation leads her to danger and she reconnects with Danny, she's not sure how to proceed. 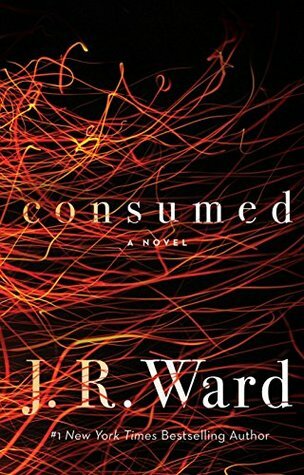 As a lover of anything the Ward writes, I knew I had to give this series a chance. It does read like the first book in a long series. I did like Anne. She passed her denial phase pretty fast and was able to go into acceptance mode. I wasn't crazy about how Danny behave during his time apart from Anne. If he wanted her, there was no reason to sleep around. Be a man and go get her. I did warm up to him by the last third of the book but still not cool dude! The novel is left with plenty of material for many more books to come. Anne's brother should be next. Thank you Gallery Books and NetGalley for providing me with a complimentary in exchange for an honest review.